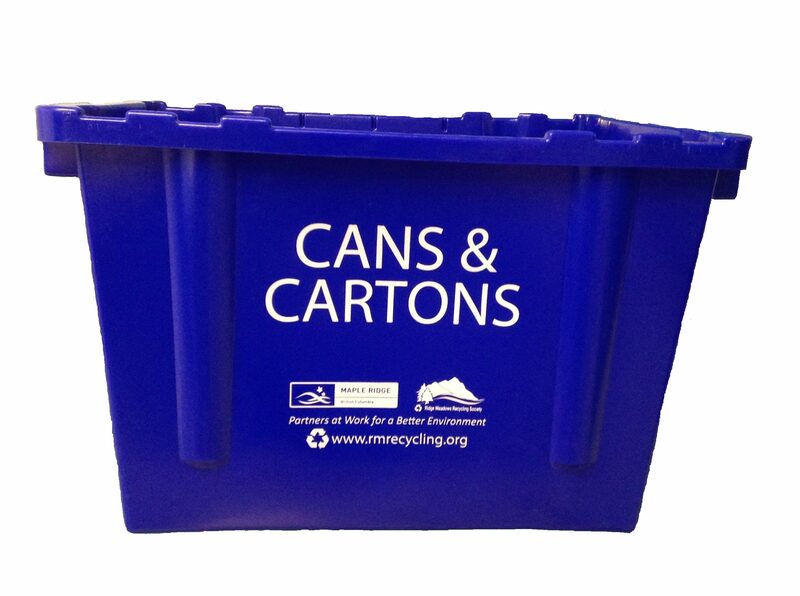 In Maple Ridge, if you have a NEW Grey Box for glass, you can now use your Blue Box for Cans & Cartons. 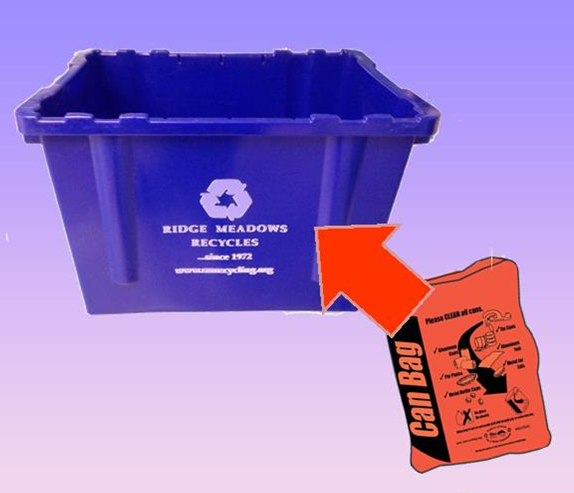 If you don’t have a Grey Box yet, you can order one online or pick one up at the Maple Ridge Recycling Depot. What Happens to the Cans & Cartons at the Depot? In the past, milk cartons and drink boxes were separated from the metal cans at the depot using a magnetic conveyor belt and sent to different processors for recycling. 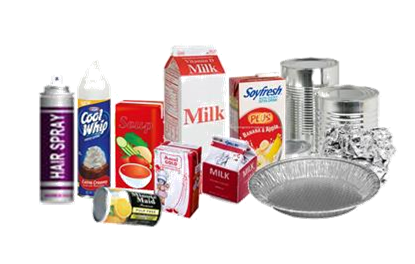 Since 2014, container packaging is collected and processed by industry under the stewardship of Recycle BC (previously known as Multi Materials BC). The tin is re-melted and formed into re-bar. The aluminum is sent to mills to be made into barbecues, lawn chairs and aluminum extrusions. Recycling saves 95% of the electricity needed to produce new aluminum from raw ore! 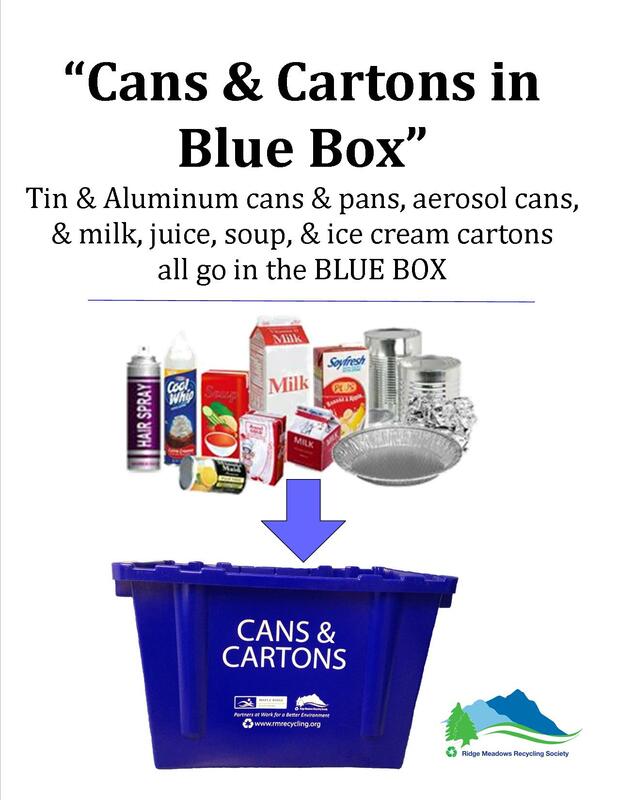 Larger scrap metal items and paint cans (including aerosol paints) can be brought to the Maple Ridge Recycling Depot. All pop cans and drink boxes, are recycled through the Beverage Container EPR Program, run by Encorp Pacific. Click to learn more about EPR, Extended Producer Responsibility Programs.